I remember once when I was a twiggy Pre-Teen with scrawny legs that would be more appropriately placed on a chicken and a questionable sense of fashion (No mini-me, black-and-white-striped fingerless gloves do not make you look cool, they just make you look like a homeless Zebra), I got roped into attending one of my little brother’s Cub Scout meetings. I can’t remember the exact reason why I had to go – maybe my Mom just needed a place to dump us for an hour or two (which is such a mood now that I’m a mother myself) – but whatever the case, I do remember how harried the Den Leader appeared. Just imagine trying to keep a room full of boisterous ten-year-old boys (plus one grumpy I-would-rather-be-anywhere-but-here adolescent) entertained and at bay. It was madder than a Wonderland croquet match. Actual footage of this poor Cub Scout leader struggling. If you don’t believe me, then google it. It’s called the “Announcement Song,” and it’s a real thing. In any case, this well-meaning plan backfired magnificently. Instead of everybody standing around in a tight circle, holding hands, and serenely singing kumbaya, this woman got a small army of wolfish children screaming the words “Announcement, announcement, announcement!” as loud as a chorus of air horns. So, when I say that I have an announcement to share with you all today, I hope that you picture me screaming those words with the same force and gusto as that fateful Cub Scout Troop of twenty-or-so overly hyper kids. Today’s exciting, ear-splitting announcement is this: from Monday, February 18th to Sunday, February 24th, I will be co-hosting a special blog event with the lovely Tracy @ Truffle’s Literary Wonders dedicated entirely to the ins-and-outs of blog design. 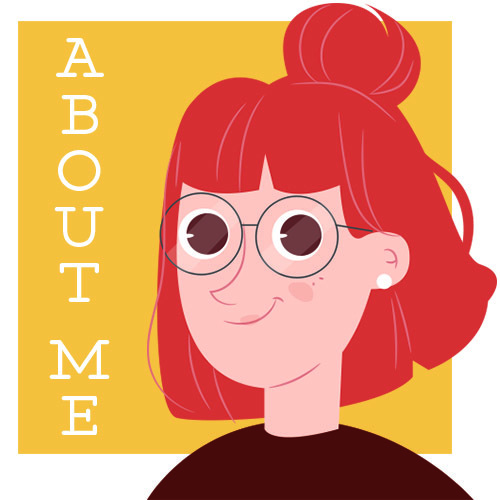 I know a lot of you have asked me to write up a post about how I make my blog graphics – and well, now you’re going to have seven. Seven straight days full of design-related tips, hints, and giveaways. Let nobody say that I’m an underachiever. New year, new you, new blog. Is it too late in the year to say this now? Oh well, I’m going to say it anyways. The name of this awesome event will be Blogiful (yes, that’s supposed to be a pun on the word, “Beautiful,” because would I really even be me if I didn’t include a pun? Gosh, I’m so on brand it hurts). Between the two of us, Tracy and I will be sharing our thoughts on various topics such as branding, wordpress themes, fonts, and color schemes. And, what’s more, at the end of the event, there will be a secret reveal. If after hearing this news you aren’t as excited as my brother’s Cub Scout Troop, then I will be extremely disappointed. So, stay tuned for the upcoming Blogiful Blog Design Event! Kat out! What questions do you have regarding blog design? What websites or programs do you use to make your blog pretty? Are you excited for this event? I know I am! Thank you so much! 💕 I hope it will be useful for you! Whoop whoop, I’m so excited for this! You know how much I love your graphics, can’t wait to see this series! Aww thanks so much! It’s very kind of you to say that! AHH I’m so excited! Your blog is SO pretty and i’m just like HOW?! This is so exciting! Your blog is beautiful-my bad, *blogiful, and I can’t wait to receive some tips and tricks from an expert! AHHHH THIS IS SO EXCITING! What a fantastic project, I’ll be looking forward to all the posts, ahhhh, yay! ❤ ❤ ❤ Can't wait! Ooooooh, exciting. 😀 Can’t wait for this! Ooooh I ca,’t wait to watch what you’ll come up with! I love design !!! That introduction! That was amazing lol. Totally the same boat. It’s a tricky balance since, like you said, there’s only so much we can do. Yeah, free wordpress is pretty limiting, but I’ve found that there’s still plenty you can do to customize it! Anyways, THANK YOU so much for your kind words – it really means so much to me 💕I hope this event is helpful to you! I am so excited for this. I use Canva for my designs and honestly I’m not really happy with them but I don’t know how/what to do to get them how I want them. I’m very excited for this series! I love your blog design so much, and we’re considering moving from blogger to wordpress with my co-bloggers, so this is going to be handy soon! OMG this event sounds so amazing and I’m so looking forward to reading your posts! DEZZYYYYYY!!!! THANK YOU SO MUCH! I don’t deserve you in my life – you’re too wonderful 💕 Hopefully the event lives up to your expectations! I love your blog design and graphics so much can’t wait!! Oh my Gawwdd this is SO exciting– -you are a blog design queen– so I am very excited to see these posts. All the posts will be blogiful— I look forward to your puns!! Haha. Can’t wait to read them!! OH GOSH WOW I’M A QUEEENNNN??? I’m so honored that you would say that! 💕 I hope that this event lives up to your expectations! Yes absolutely!! 💛👑 I am sure it will!! SCREAMING! I am so excited for this week of awesomeness and for the special announcement! This sounds so exciting, Kat! I can’t wait to see what you have for us 😀 Hmm…regarding designs, I would like to know how we can design headers in a way that it shows off our blog brand. Another would be how we can create attractive headers for different platforms! Oooh, I’m looking forward to this! My graphics are a bit sad and weak.